Gotcha was selected to launch the first public bike share program in Baton Rouge, LA early next year, with the support of the City-Parish of Baton Rouge. 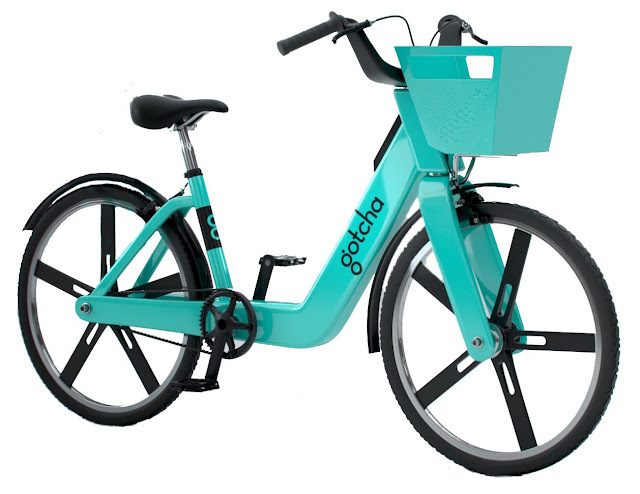 Gotcha's bike share services will include the siting, installation, operation, maintenance and ongoing management of the program in partnership with the City-Parish. The system will encompass approved locations within the city, Louisiana State University and Southern University. Launching in early 2019, the bike share program will include 500 GPS-enabled e-bikes and 50 hubs across the city. Riders can locate and reserve bikes through Gotcha's app. The system promises to be an affordable, accessible, and a sustainable form of transportation for the Baton Rouge community. "Launching bike share in Baton Rouge continues our commitment to expanding transportation alternatives for our citizens. Throughout this process, we were seeking a partner with the expertise to serve both the community and local universities with integrated, multi-modal forms of environmentally-friendly transportation," said Mayor-President Sharon Weston Broome. "I am excited that this system increases alternative forms of transportation, reduces parking issues, and promotes an active, vibrant City-Parish." "We're excited to partner with the City-Parish of Baton Rouge to provide convenient and efficient ways for residents to reduce vehicle usage. Gotcha is committed to enhancing the health, mobility, and landscape of our partner communities and the leaders of the city share this commitment," said Sean Flood, CEO of Gotcha.